John Baker, 59, has owned and operated Gaffney’s restaurant and bar on Caroline Street for 35 years, since he was 24 years old. The establishment is changing hands in January. 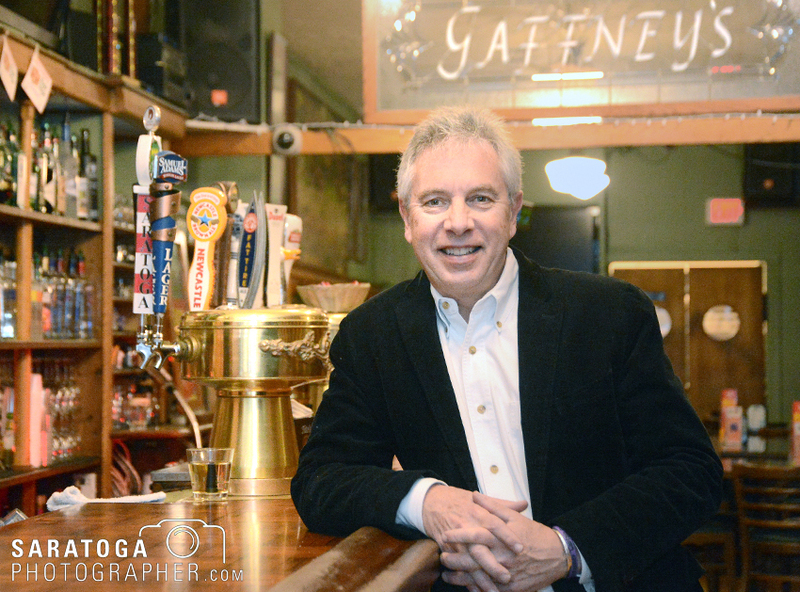 Gaffney’s, a landmark Saratoga Springs restaurant and bar, has changed hands and with that transaction, the owner is riding off to the ski slopes after investing 35 years of his life in the business. 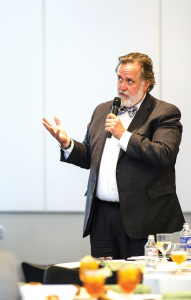 Marty Vanags of the Saratoga Prosperity Partnership speaks at the recent summit. “The more people that understand that, the more we can corral resources toward that effort when the time comes,” he noted. About 100 people attended the summit, a mix of public and private sector representatives, supervisors and town council members, business leaders and others. Mark Baker traveled from his home state of Wisconsin in 1983 to help break ground at the Saratoga Springs City Center. 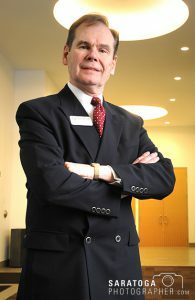 The center opened one year later and now, 33 years later, Baker is retiring as president and executive director, a role he has held during his entire tenure there. Under his stewardship, and with the help and support of the Saratoga City Center Authority and the city of Saratoga Springs, the center has expanded to offer more than 32,000 square feet of meeting and convention space and reached an all-time high benchmark of 310 days of use in 2016. “We are so fortunate to be in the city of Saratoga Springs, which is nationally recognized,” said Baker. Autumn Wright offers haircuts, coloring and styling at Seraphina Divine Beauty in Ballston Spa. She is an ex-Marine who who specialized in driving 22.5- ton hydraulic trucks in Iraq. Reading Autumn Wright’s resume before visiting her hair and beauty salon, one might have a hard time believing that she is a licensed cosmetologist. This Marine Corps veteran, who specialized in driving 22.5- ton hydraulic trucks in Iraq, also loves doing hair and makeup and does so at Seraphina Divine Beauty in Ballston Spa. After graduating from Ballston Spa High School in 2005, Wright enrolled in the Marine Corps. As she headed out to boot camp, the former high school cheerleader’s parents didn’t think she would last more than a week. 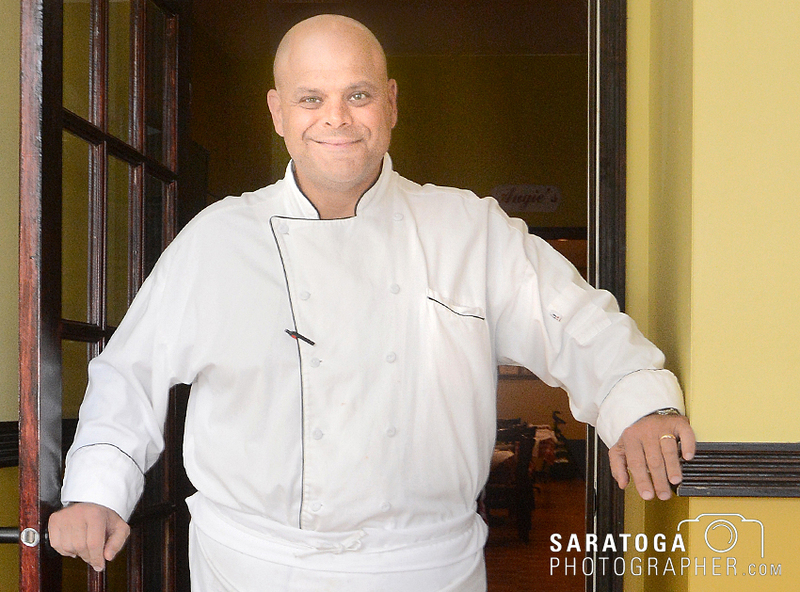 Augie Vitiello, owner of Augie’s Family Style Restaurant in Ballston Spa, is opening a new location in Saratoga Springs. Augie’s Family Style To Go will have takeout food when it opens in January. Augie’s Family Style Restaurant in Ballston Spa will be expanding into Saratoga Springs early next year. Augie’s Family Style To Go will open at 223 Lake Ave. From ready-to-heat and eat meals to desserts, the new location will serve as a convenient stop and shop for those seeking fresh Italian food. Augie’s owner, Augie Vitiello, said he was hoping to hold out a little on the announcement of the Saratoga business, but people began to talk and ask questions about it. He said for years patrons have said they would love a second location with a take-out option. Paul Mastroieni was working in the financial field after giving up a six-store group of flooring outlets. He has left that field and opened the Floor Store in the Shops of Malta. The Floor Store is back and in a new location after a five-year hiatus. 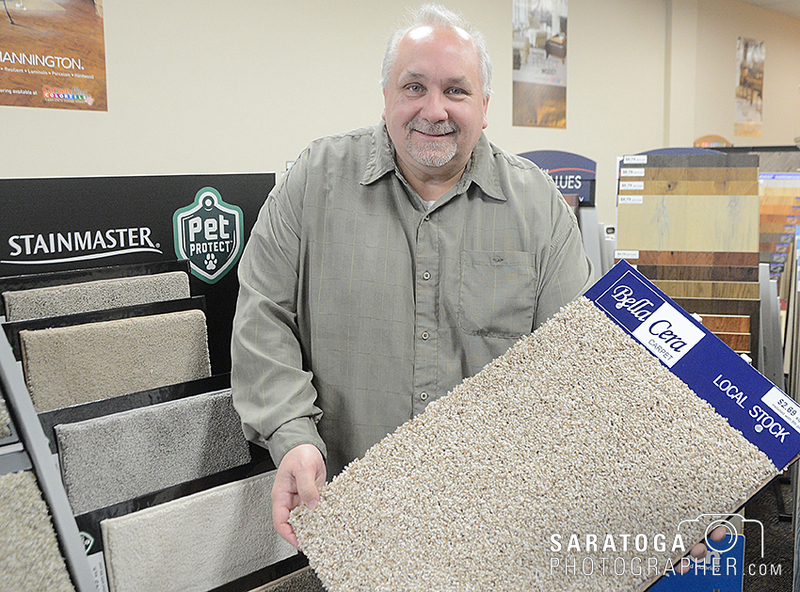 Owner Paul Mastroieni was working in the financial field after giving up a six-store group of flooring outlets in 2011. “I hated finance,” he said, and so he is back in his previous business with a store at 7 Kendall Way in Malta, part of the Shops of Malta near Exit 12 of the Northway. 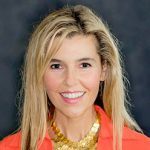 Roohan Realty announced two new hires. Brittany L. Alexander and Megan M. Alexander, are both licensed real estate salespeople and will be specializing in residential real estate. They are also sisters. Shelley Colvin, manager of Halfmoon Wine and Liquor, displays some of the product availablle at the store, which opened in November in the Crescent Commons on Route 9. Halfmoon Wine and Liquor store opened in November in the Crescent Commons shopping plaza. The store is located at 1471 Route 9, just south of Grooms Road in the town of Halfmoon. Brandon Bogardus will open an Edward Jones Financial office next year. Saratoga native Brandon Bogardus is adding his name to the roster of local of financial advisors under the Edward Jones Financial umbrella. 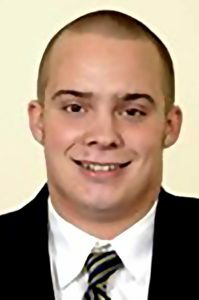 A 2012 graduate of Saratoga High School, Bogardus will officially be an Edward Jones advisor early next year, after completing an intense training course that will allow him to offer a variety of financial planning tools to area residents. Bogardus said the business will focus on five specific client needs; preparing for retirement, living in retirement, paying for education, planning an estate and preparing for the unexpected.